Living... in a wealthy home in the Chicago suburbs with his parents and sister. But it's far too quiet for him there. In the suburbs, he says there's nothing but school, gas stations, and pharmacies. Profession... high school student. But he's not attending school today because he convinced his parents he is sick with stomach cramps. His parents fall for his acting all the time. It's his ninth sick day of the semester, and the semester isn’t over yet. Interests... having the most fun possible with his best friend Cameron and his girlfriend Sloan. They took the day off from school today too. The question isn't what they are going to do. According to Ferris, the question is what aren't they going to do. Relationship Status... going steady with Sloane. They even have talked about marriage. As he says, "Besides being too young and her father hating my guts and not having any place to live and feeling awkward about being the only cheerleader with a husband, is there a good reason why she shouldn't marry me?" Challenge... evading capture. The annoying principal Ed Rooney has it out for Ferris. He thinks Ferris is up to no good and is also behind Sloan’s absence for her “grandmother’s funeral.” So Ferris got Cameron to call Ed pretending to be Sloan’s father. This time, Ed fell for it. But next time Ferris may not be so lucky. Personality... amusing. There is never a dull moment when Ferris is around. He is also cocky because he gets away with things that no one else can. It’s no wonder why he is always smiling. He lives a charmed life. 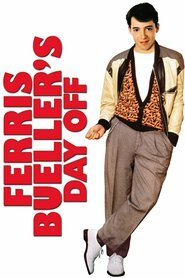 Ferris Bueller's popularity ranking on CharacTour is #125 out of 5,000+ characters. See our top-ranked characters and read their profiles.